Legacy Bank is a fifth-generation, locally owned bank. 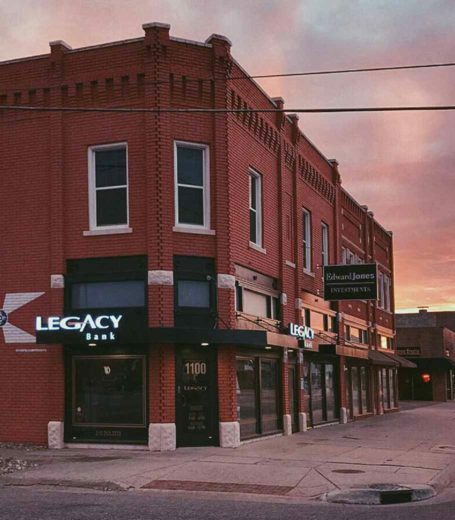 It launched the Local Legacy initiative in 2015 believing it could play a big role in making raving fans for local merchants with one-of-a-kind businesses. Legacy Bank offers free ATM service and mobile check deposit. *Upon opening any personal account with direct deposit. Not valid with any other offers. Credit given at time of closing. Loan Program restrictions may apply.